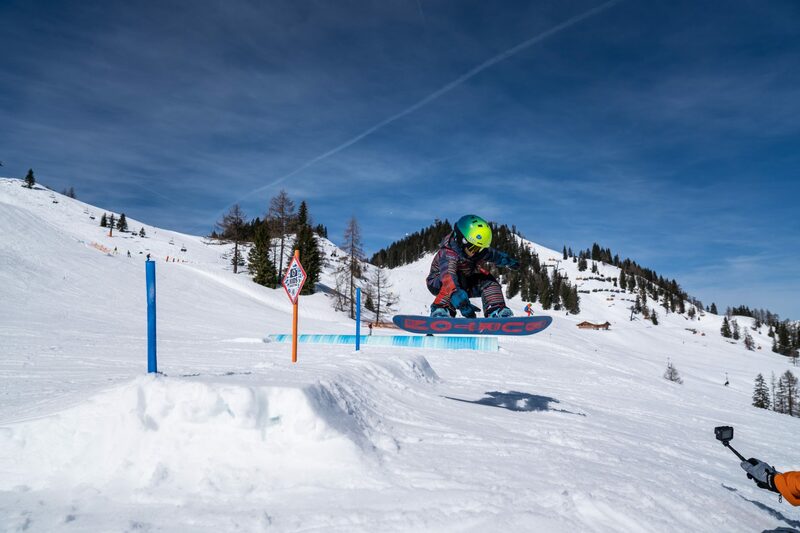 From March 16-17, 2019 the Family Freestyle Weekend 2019 took place in Alpendorf, Snow Space Salzburg check out the event recap, video and photos below. Press Release: Family Freestyle Weekend 2019: We want more of that! Sun, slush and freestyle fun for the whole family in Alpendorf, Snow Space Salzburg. 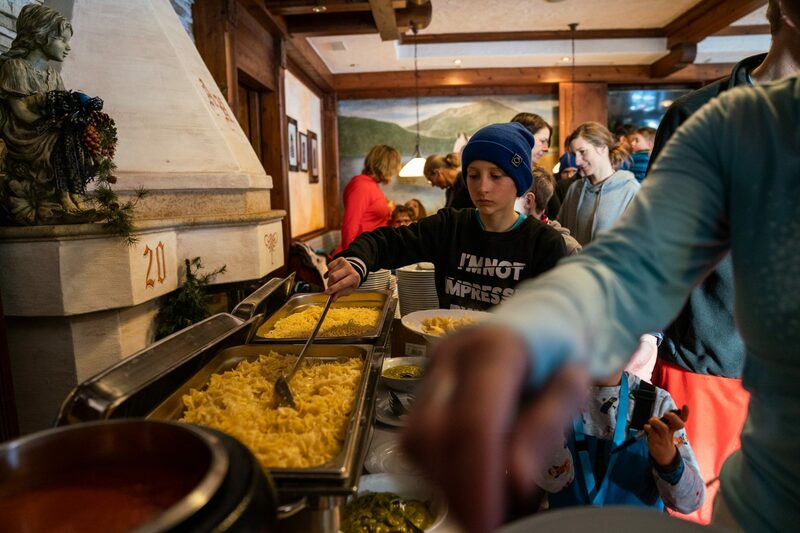 What happened at the Kreisten Alm (Snow Space Salzburg/AUT) on March 16-17, 2019 made everyone hungry for more! Around 200 enthusiastic freestyle kids and their parents had a great time together on the snow: Memorable moments like ski- and snowboard freestyle coaching, snowboard taster courses, a Riglet mountain, kicker building, snowboard and ski test, pasta party, sunset shred down and a pro trial bike show will stay in the kids’ – and no doubt the parents’ – memories for a long time! It started for a small group of kids already on Friday morning: The ASA (Austrian Snowboard Association) and Burton organized a Riglet gym lesson for the 1st and 2nd classes in the elementary school in Sankt Johann/Pongau, with snowboard dryslope training and balance exercises. Some of the kids and parents then accepted the call for the Family Freestyle Weekend at the invitation of the mountain lift company. 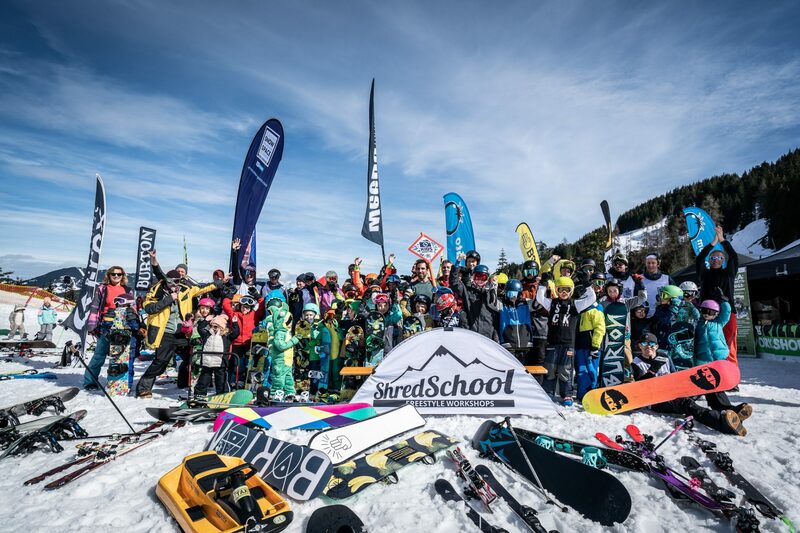 For most Families, however, the freestyle fun started early on Saturday: the enthusiastic kids quickly joined the Shred School Snowboard Freestyle Coaching supported by Blue Tomato and coaches from the Shred Kids Crew. Atomic and their two freeski pros, Jojo Rohrmoser and Hubert Holleis, were also waiting for a horde of kids in the snowpark Alpendorf, which offered heaps of possibilities for all ability levels. When registering, each child was equipped with a cool neckwarmer from Phunkshun that was specially designed for the Family Freestyle Weekend – in subtle red, so the coaches could not lose a child. 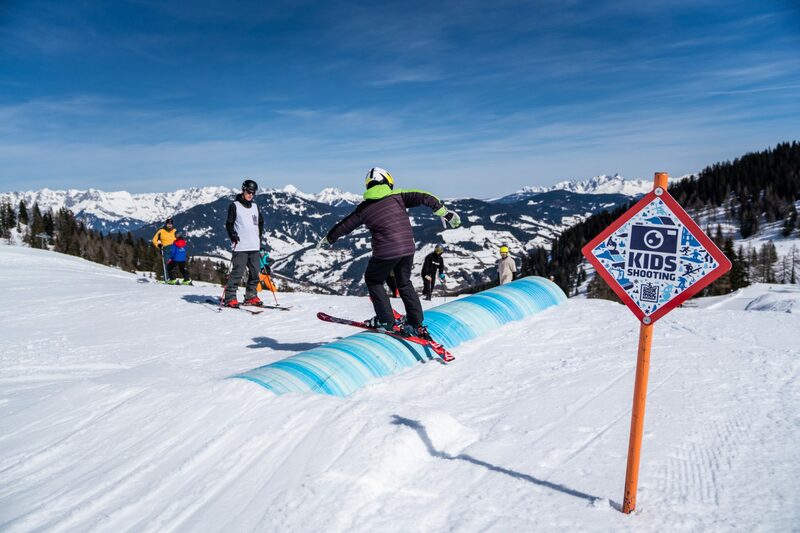 At the event area at the Kreisten Alm, the snowboard taster course offered by the Alpendorf ski and snowboard school continued at the same time, and the Riglet Mountain with two small fun boxes was constantly sessioned too. The diverse possibilities for the kids gave the parents the opportunity to breathe and enjoy the sun, or even to test the new product of the brands in attendance: Atomic, Burton, Never Summer, Bataleon, Rome, Goodboards and Nitro. There was also a lot of action at the WeDoo booth, a functional children’s clothing brand with funny animal jumpsuits – from sharks to turtles and lions to ladybirds, all the different overalls were tested by the kids. 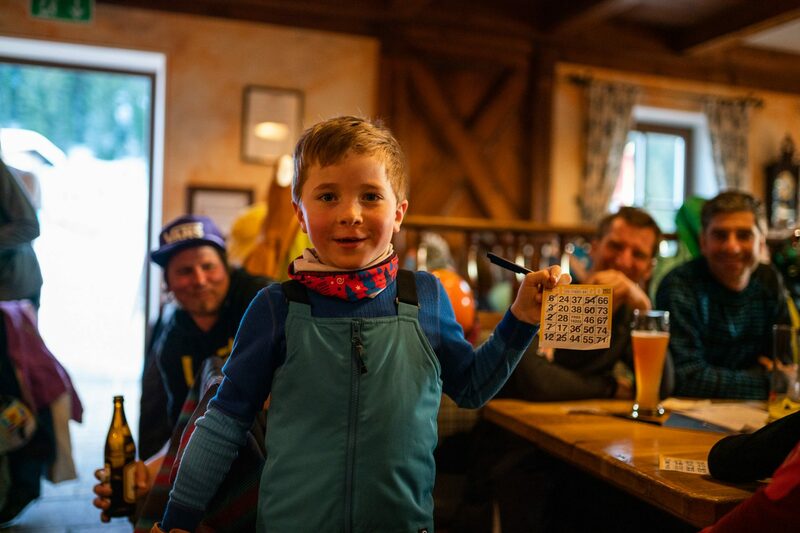 When the kids returned from the afternoon coaching sessions, the fun was not over yet: As a reward, there was first a goodie bag from Blue Tomato and to satisfy the hunger after a strenuous shred day, all participants met in the Kreisten Alm for the Barilla Pasta Party and the much-anticipated kids’ bingo. Children and parents were equally happy when they could yell out “Bingo!” and they could choose one of the many prizes. And then it was time for what could be described as the highlight of the weekend: About 80 children and parents set off for the common shred down from Kreisten Alm to Alpendorf. In the soft slush boys and girls, snowboarders and freeskiers, moms and dads, uncles and aunts, grandmothers and grandfathers, brothers and sisters, surfed towards the sunset. Though the children no doubt enjoyed it in another way, for the parents it was an incredibly romantic sight as the sun doused the soft slopes in tender evening pink …Sunday was a dream from morning to evening: Since the children had eaten their pasta well the night before, the weather gods were gracious and let the sun shine the whole day. No clouds and no breeze bothered the perfect spring day at Snow Space Salzburg. All the coaches were well booked and either moved with their crew to the Snowpark Alpendorf or had fun at the small lift within sight of the event area, where the “The Snowboarding Family” had installed a small kicker and a small funbox. As is the case for older freestylers, there was also a crew who, under the guidance of Korbi, the coach of the Shred Kids, shaped their own kicker and who was then jumped hard by the kids. After a wonderful Sunday, another fun shred down followed at 3pm to the valley station of the Gernkogel chairlift where the last highlight of the weekend was waiting for the kids: The Trial Bike Show by young bike pro Thomas Klausner (www.thomasklausner.at). To loud cheering the 17-year-old showed tricks that amazed both the kids and the parents. It’s amazing what he can do on a bike. Of course, some of the young freestylers were inspired by Thomas to get more out of their bikes! It is unbelievable how much positive energy is released at such family events. The parents and children present are already screaming for more of these events and would like to meet more often for a common shred. 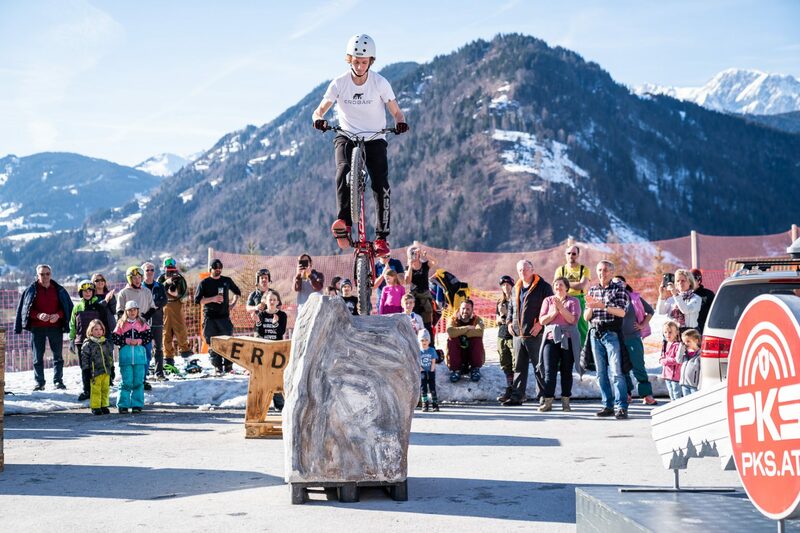 By no later than next year, however, you will see yourself again in the Snow Space Salzburg, at the fourth Family Freestyle Weekend 2020!